The picture above is self-explanatory and it pretty much sums up the attitude and feeling that many people experience on Saint Patrick's day. 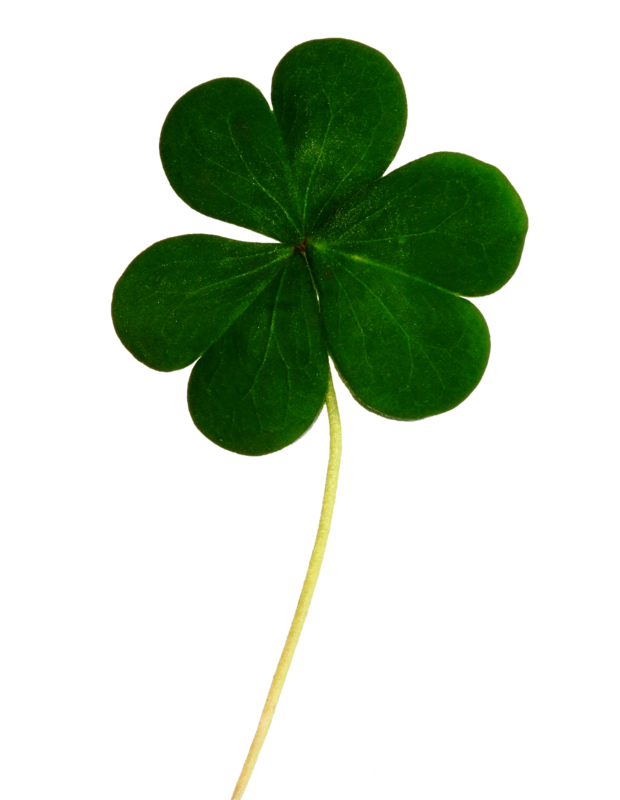 It's a huge day for the Irish & many with Irish heritage or ancestry, but also those without. From one day events with parades to week long festivals, the celebrations are generally centred around fun and it's arguably the most sociable celebration/festival on anyone's calendar, especially in Ireland. It's celebrated in more countries than any other national festival! But who is St Patrick? He's the patron Saint of Ireland and he banished all the snakes from Ireland! Well, that's what almost everyone can tell you, but it's not exactly true. Yes, he is a Saint and he was in Ireland for a period of time around the 5th century spreading Christianity. But he wasn't actually Irish, he was born in Britain and was kidnapped around the age of 16, taken to Ireland as a slave and worked as a Shepherd for around 6 years. During this time it is said that he found God, who then told him to flee to a waiting ship and back home again. When he arrived home he studied to become a priest and later returned to Ireland, spreading his faith in a predominantly pagan land. He was obviously a very determined man as he came up against countless Druids and other opposition who wouldn't have liked what he was teaching and would have made life very difficult for him. 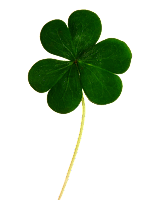 It is believed that St Patrick used the shamrock to illustrate the "Holy Trinity" and this is why it's such an important symbol today. The significance of March 17th is that Patrick is believed to have died on this date. So when did everyone start celebrating St Patrick's day? Well, the Patron Saint has been celebrated by the Irish since around the 9th century. It was known as Saint Patrick's feast day. It wasn't until 1903 that it became a public holiday in Ireland & also when their first St Patricks Day Parade took place, in Waterford. So it would appear that the Irish diaspora (Immigrants & their descendants) somehow managed to turn this day into a global event by honouring St Patrick in almost every city or country where they settled, worked or fought. For such a small country this is remarkable. The green bug is still spreading today and many countries are still adopting this global festival. Although it was originally a religious celebration it has been growing & includes huge festival celebrations alongside. 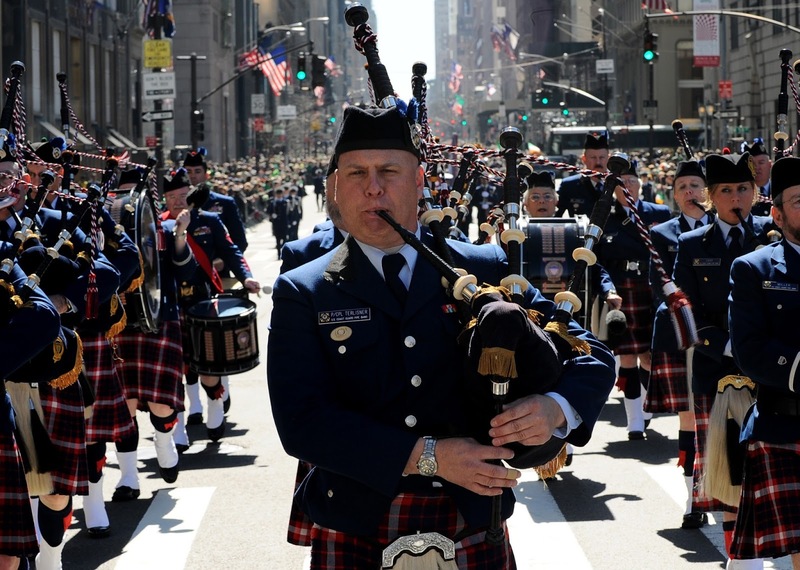 Many of the biggest parades originally began as religious gatherings before they evolved. Many Irish people are still amazed to learn about all the countries that celebrate Lá Fheile Pádraig, especially those who host parades. Since 1999 Moscow have had a St. Patrick's Day Festival. It's also commonly celebrated in Switzerland. Lately, Buenos Aires have been enjoying Paddy's day too! But there's no discrimination when this festival is concerned. 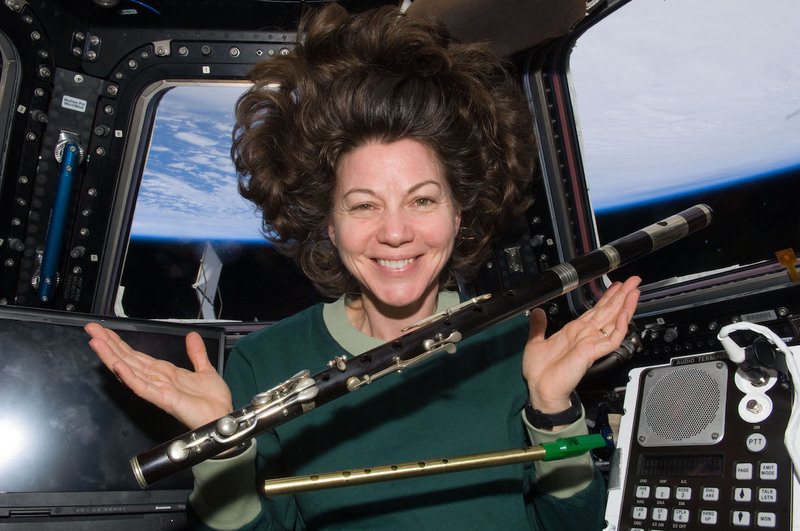 You don't even need to be on this planet to celebrate or take part!!!! Irish-American astronaut, Catherine Coleman with The Chieftains, Matt Molly's 100 year old flute and Paddy Moloney's thin whistle which she played on the International Space Station on St. Patrick's Day in 2011. On St. Patrick's Day in 2013, Canadian astronaut Chris Hadfield took pictures of Ireland from the International Space Station and posted them online. He sang Danny Boy and posted that too. 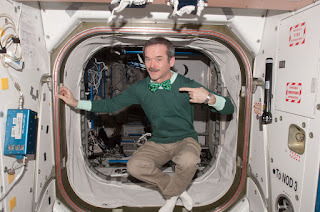 He also dressed in traditional Paddy's Day green to top it all off. 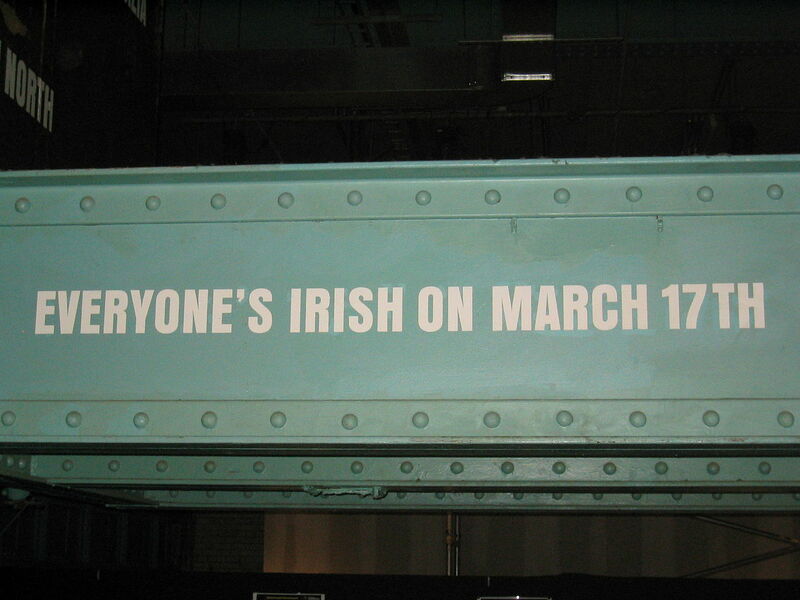 Just a small (kinda) history on this global celebration that came all the way from The Emerald Isle. 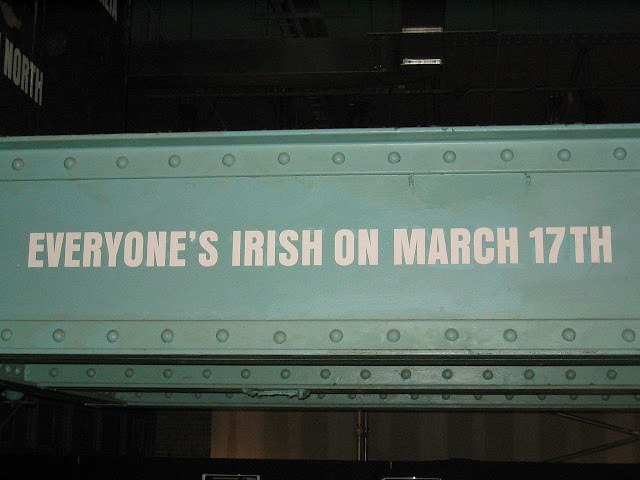 We're looking forward to Paddy's day this year as it falls on a Friday. What a way to kick off your weekend.